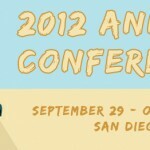 Sunny San Diego has been selected to host the the 2012 National Association of Government Defined Contribution Administrators Inc. (NAGDCA) Conference. The conference will also include 19th Annual 5k/1-mile Fun Run/Walk to be held on October 1, 2012. The Fun Run/Walk is sponsored by T. Rowe Price who has selected Run San Diego as the official race management company. The Sheraton San Diego Hotel & Marina is hosting this 5-day event and is where the guest runners are staying, which is a short walk from the course start/finish area. Plaques will be awarded to the 1st place male and female in the 5k run and 1-mile walk. Owner/Operator Blake Miller and has been selected to be Race Director and will design both the 5k and 1mi courses to start/finish at Spanish Landing Park, which is a historical landmark in San Diego known for its stunning bay views and wide-open space. The course will venture out onto Harbor Island which will provide a great “taste” of San Diego for the many out of town guests. Run San Diego shall play a huge role in the overall management of the race and will also supply the event with outside vendors and medical support. Originally Founded in 1937, T. Rowe Price, is an investment company with a goal of achieving long-term growth for their clients. T. Rowe Price manages over $500 Billion in assets and offers investment strategies for individuals and institutions. Their belief is that they should always do what is best for the client and their community that is why, T. Rowe Price has graciously sponsored this exciting event. Run San Diego is a local organization dedicated to the running, walking and racing community which provides Training Programs, Coaching, Resources and Race Management for individuals, groups, businesses, organizations and everyone in between. Created and managed by runners, we are a team of committed leaders, members and volunteers who are passionate about everything running!